The Hanify-Howland Memorial Lecture Committee is a twelve-student committee founded in 1965 in honor of Judge Edward Hanify, Class of 1904, and Mr. Weston Howland. The Committee serves to select the speaker for the College’s annual keynote lecture. Funded through the generosity of the Hanify and Howland families and operating directly through the President’s Office, the Committee provides the opportunity for member students to have sole discretion over the choice of an annual speaker to address the College community on issues of public affairs. Additionally, the Committee provides for seminars in which Holy Cross students may engage each year’s speaker in a small-group setting. The Hanify-Howland Memorial Lecture Committee is pleased to announce that the 53rd annual Hanify-Howland Memorial Lecture will be given by the renowned social psychologist Jonathan Haidt, one of the world’s leading experts on the psychology of morality, on Tuesday, April 2nd at 8 p.m. in the Hogan Campus Center Ballroom at the College of the Holy Cross. The Hanify-Howland Lecture Series recognizes individuals who have distinguished themselves in the realm of public service in honor of Edward Hanify, a member of the graduating class of 1904, and Weston Howland. 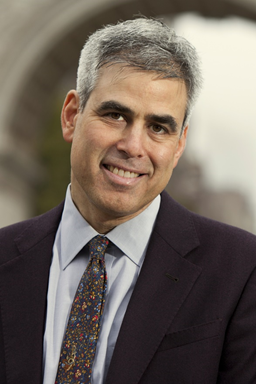 Haidt’s talk, titled “Politics and Polarization”, is free and open to the public. In keeping with the traditional practice of the Hanify-Howland Lecture Series, Haidt will conduct a seminar on campus, which will allow students to interact with the speaker in an intimate and intellectually stimulating environment. If interested in attending the seminar please complete the seminar application. He will also be signing copies of his book: “The Coddling of the American Mind: How Good Intentions and Bad Ideas Are Setting Up a Generation for Failure” after the lecture. For more information on Jonathan Haidt and this event please see the full announcement on the College website.